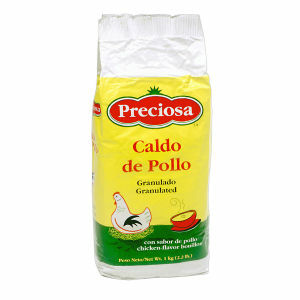 Granulated Chicken Bouillon at its best is how you can describe this product. We ask you to do a taste test against any major brand and you will see that Preciosa is truly a winner. This product is packed in an aluminum bag and sealed for consumer protection.